Not many people buy plasma TVs any more, believing that LED-backlit televisions are cheaper and better. In fact, the differences between the two technologies at all screen sizes have shrunk to almost nothing – and the Panasonic TX-P50GT50 is sure proof of that. If anything, it's assured plasma TVs such as the TX-P50GT50 that still have the upper hand on both ultimate picture quality and value. 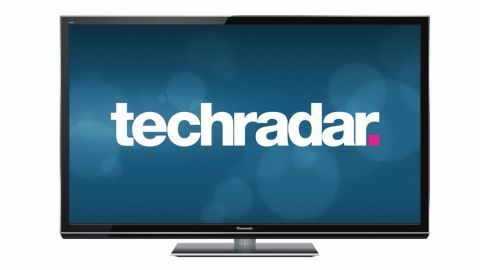 While only a pricey LED telly can get over that tech's shortcomings, expensive screens such as the Panasonic TX-P50GT50 really get the very best out of plasma panels. More basic 50-inch plasma TVs can be had for as little as £750/$1,000 from the likes of Samsung and LG – plasma tech's only other fans – but it's on screens high up in Panasonic's ranges that it really excels. The 50-inch Panasonic TX-P50GT50 possesses a dual-core processor to power the Viera Connect smart TV platform (BBC iPlayer, BBC Sport, Lovefilm, Netflix, a web browser, and even a shopping dimension are included), a NeoPlasma panel (sporting a Full HD resolution, of course), 2500Hz Focused Field Drive (the response time is a world-beating 0.001 milliseconds), Infinite Black Pro (for deep black levels) and High Contrast Filter Pro, and both Freeview HD and Freesat HD tuners. The provision of both free-to-air digital and satellite platforms, though arguably over-spec for most of us, demonstrates Panasonic's commitment to the UK market. It being a THX 3D Certified display in the form of three picture modes – THX Cinema, THX Bright Room & THX 3D Cinema – is a nice bonus, as is some Imaging Science Foundation (ISF) standard picture controls that enable a custom calibration. The THX Cinema picture mode is our favourite, which makes setting up and using this plasma TV simple enough for everyone to achieve an exacting performance. Design-wise, the Panasonic TX-P50GT50 is the equal of its peers. At a mere 41mm in depth this is the slimmest plasma television around, and while gloss black is still the dominant colour for the 24mm-wide bezel, a 3mm-wide silver strip helps create an attractive, slender look. What we also like is the oddly patterned desktop stand, which starts out gloss black and grades down to light grey at the back. The effect is difficult to describe, though the end result is that this huge, heavy plasma TV appears to float. Now that is how to design a television. Judged purely on build quality, there's nothing to match the Panasonic TX-P50GT50 – it's a solid, well-made and hugely professional piece of AV equipment that looks and feels expensive. It's joined in the GT50 range by 42-inch brother the Panasonic TX-P42GT50B. Before diving in and purchasing the Panasonic TX-P50GT50, it's worth ruminating on whether you could save yourself a few quid by ranging down. This GT50 screen is sandwiched by the step-down Panasonic ST50 and reference level Panasonic VT50 Series of plasma TVs, both of which are – like the Panasonic TX-P50GT50 – 3D-ready, though only the latter comes with 3D specs in the box. What you lose if you plump for an ST50 plasma – which are sold as the 42-inch TX-P42ST50 and 50-inch TX-P50ST50 – is that slimness. Go for the VT50 flavour - either the 50-inch TX-P50VT50 or whopping 65-inch TX-P65VT50 - and that extra cash gets you a touchpad remote (which helps with web browsing, though arguably not as much as the free iPhone/Android smartphone app), two pairs of Bluetooth 3D glasses, and a svelte design that sees the TV seemingly carved from a single sheet of glass. The Panasonic VT50 Series also has a more advanced Infinite Black Ultra Filter to take black levels to the highest possible level, though, as we'll see, the differences when compared to the Panasonic TX-P50GT50 are rather slight. And by that we mean that the plasma we have in front of us is simply exquisite.